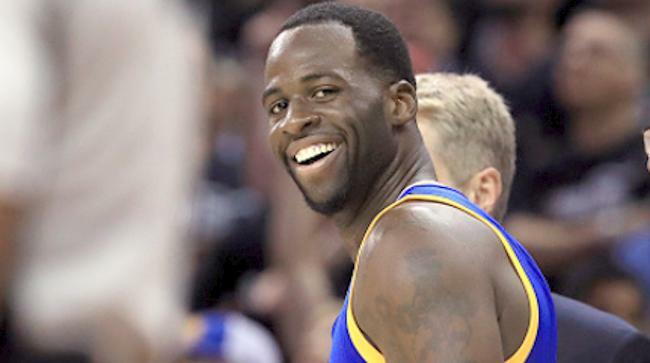 *Draymond Green of the Golden State Warriors has some legal issues to immediately deal with during the NBA off season. In fact, he’s looking a lawsuit that’s potentially tied to an incident last July in which he allegedly slapped a former Michigan State football player. Green is being positive about the pending lawsuit. He says it “will be resolved soon.” That may be true, but whatever the case, the NBAer will be going up against emerging lawyer Lisa Bloom, the daughter of famed attorney and legal flack, Gloria Allred. In a news release on Monday, she said is filing a lawsuit against Green on Tuesday, today (07-25-17). Green’s camp expects the lawsuit is in response to a sequence of events last July that culminated in Green allegedly slapping then-Spartan player Jermaine Edmondson. The alleged slap followed a verbal dispute outside an East Lansing bar in the early morning of July 10, 2016, and was preceded by an encounter two nights earlier allegedly involving Edmondson, his girlfriend, Green and two of the NBA star’s associates, reports ESPN. Michigan State senior CB Jermaine Edmondson told police he was choked by Draymond Green’s associates the night before he was allegedly punched by the NBA star. Bloom, a legal analyst for several networks, has a news conference scheduled for Tuesday morning in Los Angeles. Green was arrested for allegedly slapping Edmondson and faced a $500 fine and up to 90 days in jail if found guilty. The two-time NBA All-Star was released on $200 bond and didn’t appear in court. Green’s plea deal reduced the charges from misdemeanor assault to a noise violation and civil infraction, which carried a $500 fine and $60 in jail restitution. Bloom’s pending lawsuit alleges assault, battery and related claims based on Green’s “alleged acts of violence against a young man and woman,” presumed to be Edmondson and his unnamed girlfriend, according to The Bloom Firm. According to the East Lansing police report, Edmondson said he and his girlfriend were both grabbed by the throat by Green’s associates on July 8, 2016, at Rick’s American Grill. 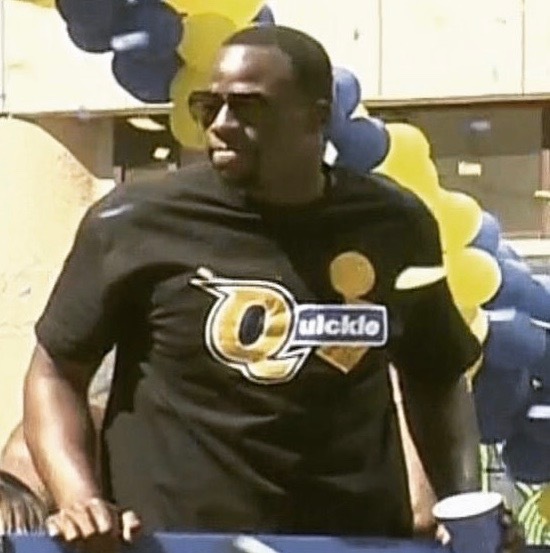 A source told ESPN that Edmondson, an Ohio native, approached Green face-to-face with verbal taunts and threats that day, just weeks after the Warriors lost to the Cleveland Cavaliers in the 2016 NBA Finals. Green didn’t know who Edmondson was at the time he was first approached on July 8 and ignored him, a source said. The police report noted that Green approached Edmondson early on the morning of July 10, 2016, at Conrad’s Grill in East Lansing, and allegedly slapped him following an argument.